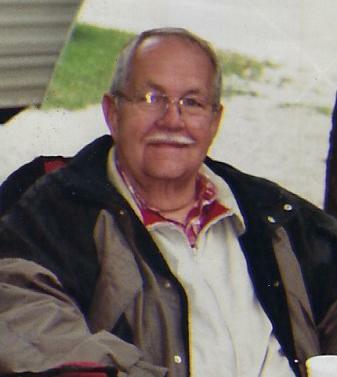 Ron Osborn, a 79 year old Trenton, MO resident, passed away at 3:40 p.m., Tuesday, April 02, 2019 at Eastview Manor Nursing Home in Trenton. Funeral services are scheduled for 3:00 p.m., Saturday, April 6, 2019 at Resthaven Mortuary of Trenton. Burial will follow in Resthaven Memorial Gardens of Trenton. Open visitation will begin at 10:00 a.m., Friday at the funeral home. Memorial donations are suggested to Trenton Fire Department and may be left with or mailed to the funeral home. Ronald Larry Osborn was born December 9, 1939 in Olympia, WA to Robert and Frieda Louise (Johnson) Osborn. He graduated from Galt High School. He started Ron's Heating and Air Conditioning in 1968 and ran it until 1996. On April 19, 1983 he was united in marriage to Rose Burress in Trenton. Ron was a volunteer fire fighter in Trenton for many years. He enjoyed working on and traveling on his motorcycles and doing sheet metal and body work on Stock and modified race cars and going to the races. He was a member of the First Baptist Church. Surviving relatives include his wife Rose of the home, Sons, Andy Osborn and companion Jennifer Westcott of Trenton, Robbie Kincade of Gilman City and Ronnie Kincade and wife Cheri of Carrollton, MO, grandchildren, Ashley and Ayron Osborn, Sarah Higgins, and Rhyan, Kenzi and Jessup Kincade, a sister Goldie Wilford and husband Jerry of CO, brother Murlin Osborn and wife Janice of TX, and several nieces and nephews.